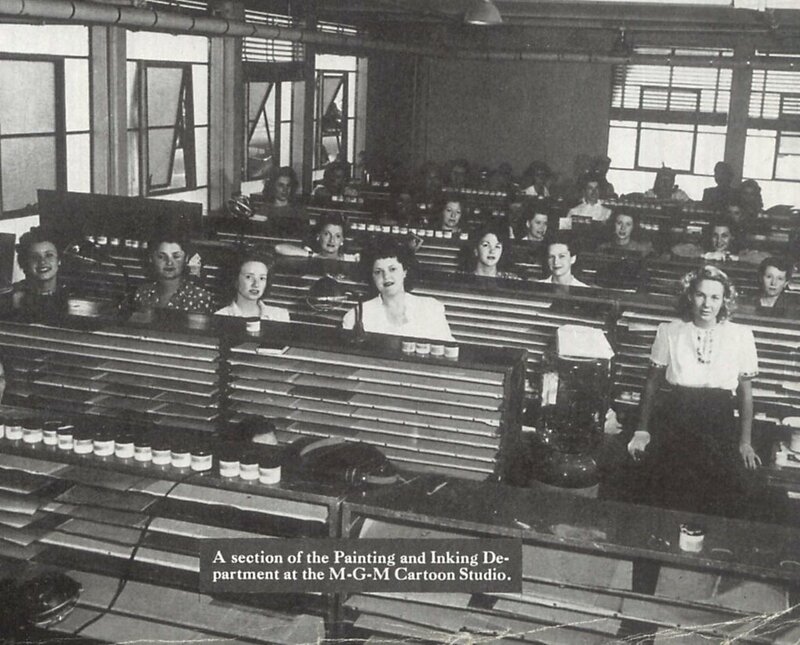 MGM cartoons were supposedly the last of the major studios’ pre-1948 animated films released to television. The deal was struck with United Artists TV Distribution, but did not include the ongoing Tom and Jerry series, which remained a popular theatrical mainstay well into the sixties. From 1960, the Metros were leased to local stations as kiddie fodder, usually filling time between live host segments. Barney Bear was an umbrella title for some of these afternoon shows, as the package contained the first fifteen entries from that series, as well as thirteen MGM Bosko shorts, fifteen Captain and The Kids, and numerous Happy Harmonies produced by Hugh Harman and Rudolpf Ising. 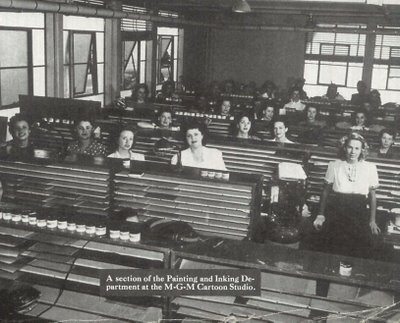 There were 135 cartoons in the group, and 120 were in color. By the time they became available, United Artists already had much larger packages of Popeye and Warner Bros. shorts in station berths across the country. 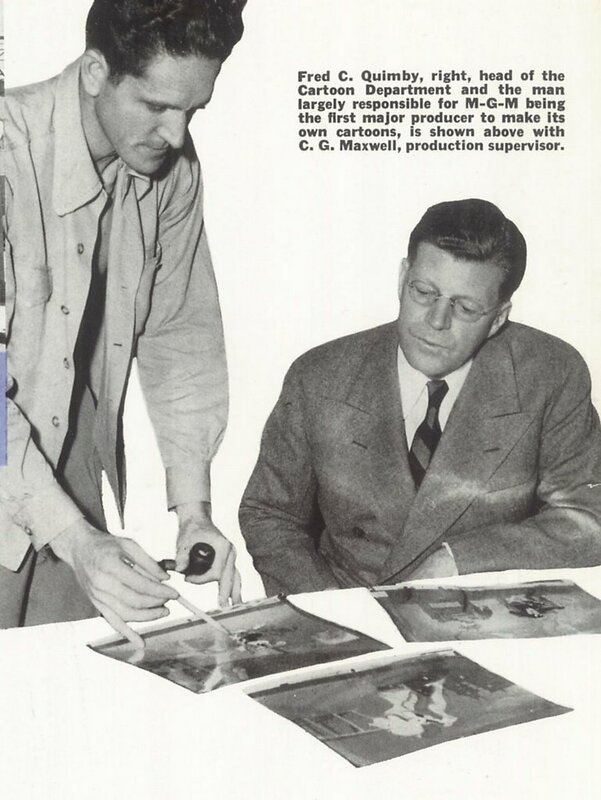 The MGM subjects were in direct competition with name-brand animated products that had a four-year head start in clearing virtually every syndicated market in the nation. 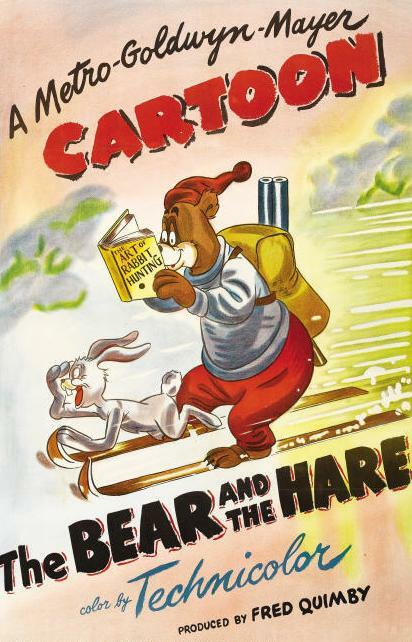 How could Barney Bear compete with Bugs Bunny? It must have been hard selling cartoons with no recognizable characters. UA salesmen in the field would have found it far easier to sell a Popeye group over these Metros. 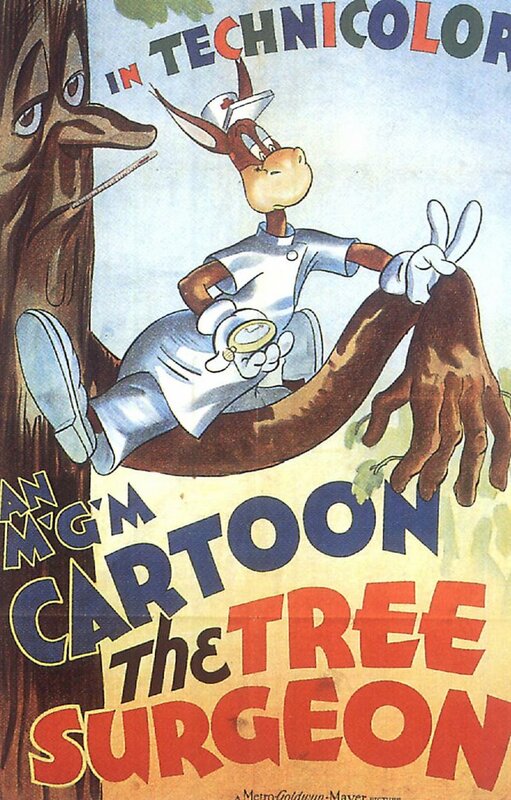 I’d assume MGM cartoons wound up with those stations that had been trumped in their respective market by rivals who’d grabbed off Bugs and Daffy before they could, but a question also arises as to what sort of terms UA exacted for the Metros. My guess would be high --- their lease with MGM was probably no bargain. Is this why so few of us saw these cartoons growing up? I’ve spent the last few days asking among friends around the country, and none of them recall seeing a Happy Harmonies on television (especially prior to the late seventies). Owning MGM cartoons on 16mm conferred bragging rights unequalled by the more commonplace WB’s. Finding them was near impossible. 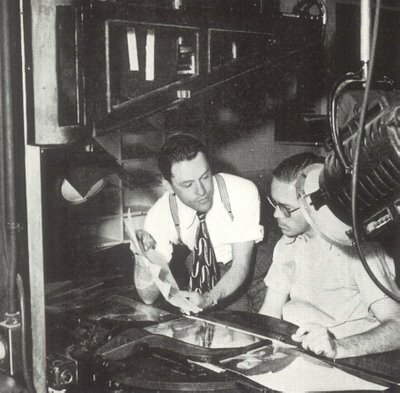 A company called Pictoreel sold Harman and Ising shorts (that's Harman and cameraman Jack Stevens in the photo above left) outright during the fifties, and home viewers could pick these up in either black-and-white or Kodachrome prints. It would appear the two producers retained some kind of distribution rights in these subjects, as other MGM cartoons were never legitimately available to collectors in 16mm. As for random or scattered prints (that is, ones mislaid or otherwise appropriated from TV stations or rental houses), you’d grab a Metro almost sight unseen in those days. Often as not, they’d be pink --- which is to say, the color was faded or fading. All were pigs in a poke since we’d seldom or never seen them before on TV. Much of the time, that was OK, but there were disasters. I scooped up six MGM’s around 1976 for $30 each, which wasn’t bad for such rarities. The first one I watched was The Old Plantation, which had all the rich animation and lavish backgrounds one might expect from Metro. 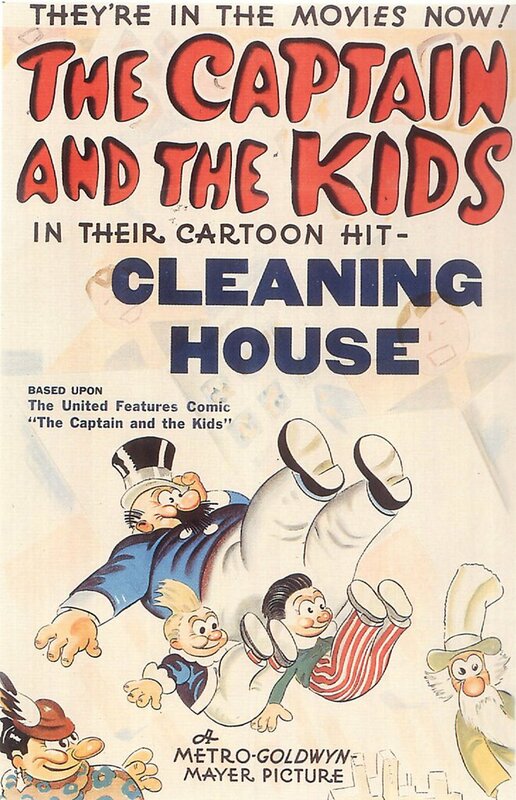 Up next was a cartoon so dreadful that the mere recollection of it sets my teeth on edge. The Tree Surgeon was surely the most nauseating seven minutes I ever spent in front of a 16mm tri-pod screen. I still have flashbacks from the experience. My request to Warners --- now that you own this negative, please burn it. Collecting cartoons got easier when TV stations started dumping them in the late eighties. Suddenly, there were entire runs of Tom and Jerry (they’d finally gone off-network and into syndication in 1977), and even the legendary Tex Avery shorts were starting to turn up. Some friends and I used to meet a longtime collector/dealer on the third Saturday of each month at a Shoney’s restaurant near Charlotte. After lunch, he’d pop the trunk and we’d do a deal for MGM cartoons out in the parking lot. He had a friend at one of the TV stations and they were converting over to videotape for all their programming. What we got would have otherwise been earmarked for the dumpster, had not reason prevailed. There were VCR’s by then, but nothing approached the quality and purity of these classics on 16mm, and besides, the prints were in virtually new condition. It was only after all the TV stations/rental houses were emptied that the supply began to dwindle out. By then, so was collecting, for now there was video projection and the remarkable clarity of DVD. We’d have never imagined it would end, but now it pretty much has. The old Big Reel newspaper we anticipated with such fervor each month has slimmed down to wafer size, and whatever’s left of 16mm gathering is now largely confined to e-bay. It was all great while it lasted, but film couldn’t survive in the face of digital technology (even theatres are abandoning it now!). Some of you veteran collectors out there should write a history of that vanished era. In tomorrow’s Part Two, I promise not to digress so far from MGM cartoons, for there’s more info at hand about costs and rentals, as well as how the studio used their animated subjects as a battering ram against the despised double feature policy. Once again a great read this morning. I know Jerry Beck has been instrumental in helping Warner Brothers prepare the Looney Tunes Golden Collecton DVD series. One of the wonderful things he has done has been to replace the a.a.p. or Blue Ribbon logos with the original title cards (whenever possible). The result has been amazing to me who grew up seeing these cartoons with a standard title card. Along with the Disney Treasures series, the Golden Collection is the (forgive the pun) gold standard for animation collections on DVD. I just with that there were more MGM collections (non Tom and Jerry who has a set or two) especially the Tex Avery stuff. There was a Tex Avery vhs series- why, oh why is there no Tex Avery Collection (Droopy or anything else for that matter) on DVD? And I'm not at liberty to discuss, but Avery on DVD will begin in 2007. Where I grew up in the '60s (Rhode Island), most of the stations ran mostly Popeye and Warners' 'toons. 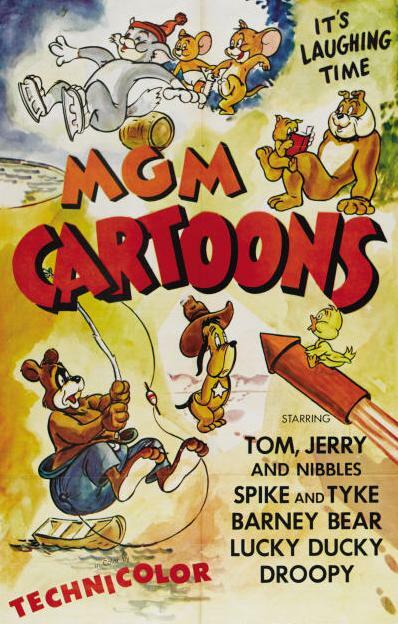 At some point, the only MGMs that turned up were Tom & Jerry, which I always avoided. In fact, if it ain't Tex Avery, I ain't interested in any of the Metro cartoons. But that's just me. That is good news, Jerry! 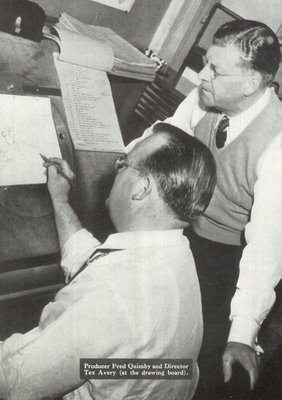 Thanks for the info about Tex Avery...I hope that means you will have some input into them. And thanks for your great work on those wonderful DVDs! We got the old MGMs locally when I was a young'un. A local station had a long-running Bozo the Clown franchise and, our Bozo being on the lazy side, the show consisted mostly of cartoons. Warner Bros. and Popeye, of course, along with the aforementioned MGMs, and those 1950s Paramount cartoons masquerading as Harveytoons. Also Beany and Cecil. The drawback was that the show always started with one of those godawful Bozo the Clown cartoons. Such a price to pay! I want to hear more about The Tree Surgeon. Tex Avery's Cartoons have been released on DVD! In France! Check out www.dvdfr.com for "Tex Avery (Edition Collector - Edition limitée)". I'm younger than some of you, so my first cartoon experience was TV in the mid-70s. I distinctly remember seeing the Tree Surgeon from back then. It seemed on par with a small selection of other... let's say "odd" cartoons, meaning not Bugs Bunny or other recognizable characters. Funnily enough, my recollection is that all of them were quite good quality. There would be a periodic faded or scratched transfer to tape (I presume) and those could be any type. But these weird ones were as sharp and easy to watch as anything. 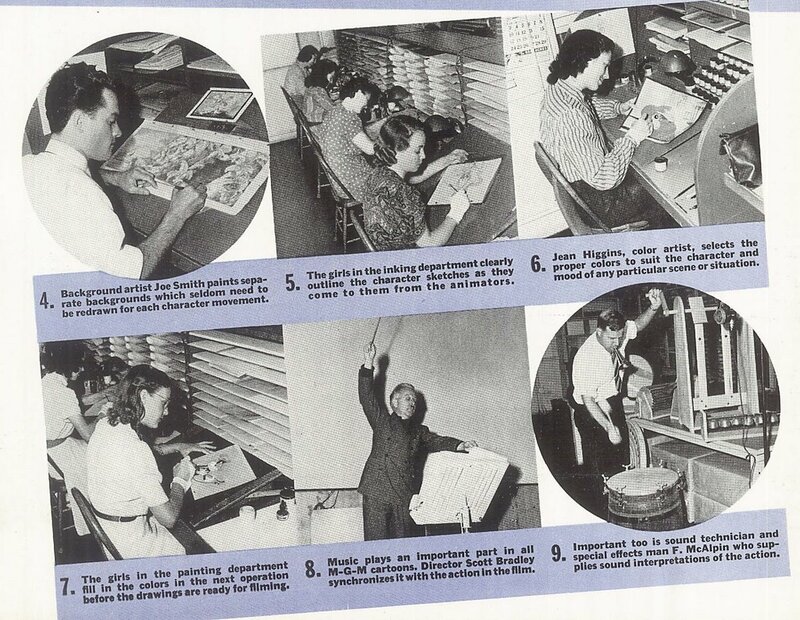 The local stations were very, very independent and/or no one paid attention to the early weekend mornings staff. They ran stuff in odd orders, so sometimes you'd see something once in several years, sometimes twice in a day (really). Who knows what package they had bought back whenever, but there were a lot, and I think I saw almost everything ever made (as long as it was color) one time or another. I'm with J.C. on those Avery cartoons, Jerry. Thanks for the advance tip on their 2007 DVD arrival. Great news, indeed! I watched that "Tree Surgeon" cartoon. Not so bad! Bland, but inoffensive. I liked when he turned into the tree -- I wish the whole thing had been that weird. In New York, WABC bought the MGM pre-48 package, back in the days when the parent network had no national morning show. They aired them weekdays at 8 a.m. on the "Tommy Seven Show", which was hosted by a Bozo-like clown with his own theme song (sung to the tune of "Sidewalks of New York"). 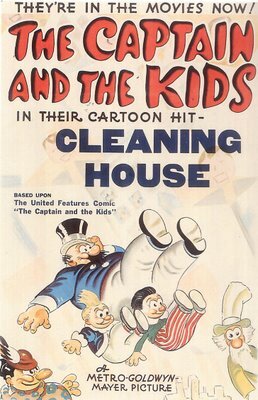 The problem was that while there were some great Avery cartoons in the package, there were just too many of the Disney-like H&I cartoons for it to compete with the more aggressive (and enjoyable) Warners cartoons over on WNEW and WOR and the Popeyes over on WPIX. If MGM had allowed a few more years of its cartoon library or some of the early T&Js to be included in the original syndication package, odds are it would have been more successful.